Trucks spend a long time on the road. It also means that they spend more time at risk of having their windscreens damaged or shattered. Fortunately, one call to us and we’ll handle your windscreen repair concerns! 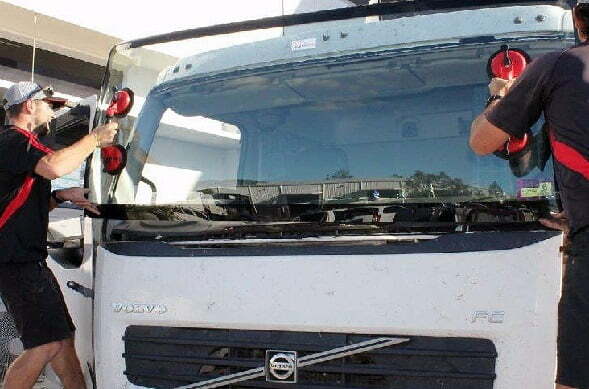 We provide some of the best windscreen repair and replacement services in the Perth area. One of the traits of glass is that it can be unpredictable. Sometimes, a huge crack can linger for years, and you’d have no need of any windscreen repair Perth. Other times, a small crack is all it takes to make it shatter. As you can imagine, any damage should make you consider getting windscreen repair Perth. In most cases, a truck windscreen needs repairs due to either the environment or pressure. Small stones or debris might hit the glass at high speed. The truck’s body also causes stress on the glass, particularly when it’s going through rough terrain. Why should you trust us to do stone chip repair on your truck? We have years of experience in this. We’ve seen everything, from small damage to large cracks. We’ll tell you if stone chip repair can do the job, or if you should look for a replacement. We use only the highest-quality materials. The glass we use underwent rigorous testing to meet all applicable international and Australian standards. Installing the glass is crucial. If you don’t do it right, you are risking greater damage and potential harm to you and your passengers. Don’t try to DIY a windscreen installation – call us instead.